Hope all of you are doing well , I know I took break from blogging for quite a long time. 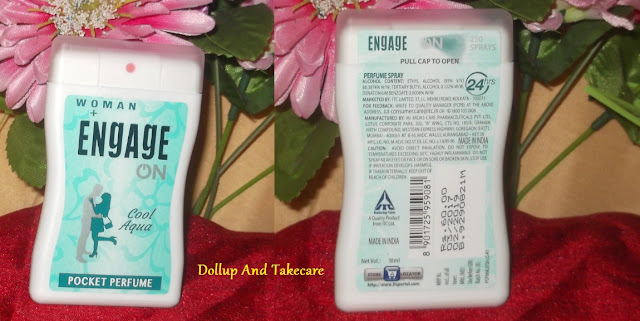 Hopefully you all will forgive your singer blogger for this delay .I hope all of you have already watched the ad where Engage Deo from ITC launched their Pocked perfume range for both men and women. So today I am going to tell you all about 3 variants of Engage On Pocket Perfume for women . 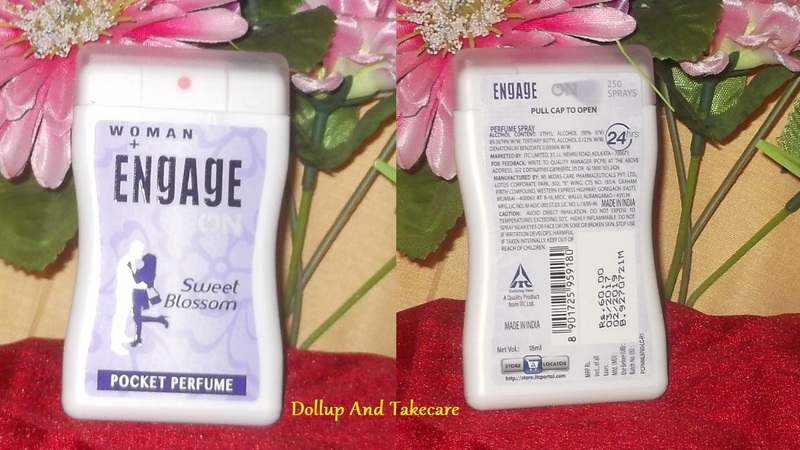 Engage On Perfumes for women comes in cute looking sleek while pack containing 18ml of perfume . Comes with semi transparent rectangular cap that fits the rectangular body perfectly . Floral Fresh is a very very feminine perfume with mazing floral fragrance .This is a long lasting variant with impressive fresh fragrance . This is very much a spring fragrance it reminds me of Ponds Dream Flower Talc smell. Sweet Blossom is a perfect bridging combination between strong and mild . One thing about this perfumes that I found incredible is that they are long lasting and not really headache inducing strong .Even in kolkata’s humidity they last . I am cancerian, so I have more than needed inclination towards anything that smells aqua based .I am loving this particular variant a lot . Trust me I am going to buy one ,as soon as this one gets over . I would love to suggest this variant to all of you . Not because I’m aqua fragrance lover ,but beceause people with different taste may end up liking this one . I guess I have said enough about the three variants and their smell . Well , these fragrance actually lasts for 2-3 hours . You know , I have been travelling a lot these days . So I have have spent quality time in 3 cities of the country with absolutely different weather within 15 days . So lets start with Delhi , super dry and hot delhi was good enough to try and test these beauties . It lasted for good 4 hours then I came home and bathed so could’nt get the “ still counting “ mode on . Then came my City of Joy … I lost 2 kgs only because of profuse sweating . So you cannot expect much . Sweet blossom lasted for 2.5 hours here while Cool Aqua managed to make me smile for 3 hours . When I came to Mumbai the sun was literally in the mood to romance dusky clouds . So sweat mode stopped raining love upon me . Floral Fresh and Cool Aqua Both lasted for 4hours . If you gift 3 variant to a friend she’ll simply love it . I can carry them in my jeans pocket and yeah I am a sareenista don’t underestimate the power of my clutch . Available for both men and women . I wish they stayed a little longer .